Top: Target | Earrings: New York and Co. There are a few reasons why Valentine's Day feels like a special occasion in our house. Obviously, we like to celebrate our relationship and our love! But, Valentines also falls right in between both our children's birthdays (their birthdays are the 11th and the 17th of February). There have been Valentine's Days over the past few years that we've really not had the opportunity to celebrate (what with being in the hospital, delivering babies, and all). So, this Valentines Day, especially, is a very special Valentines to us. 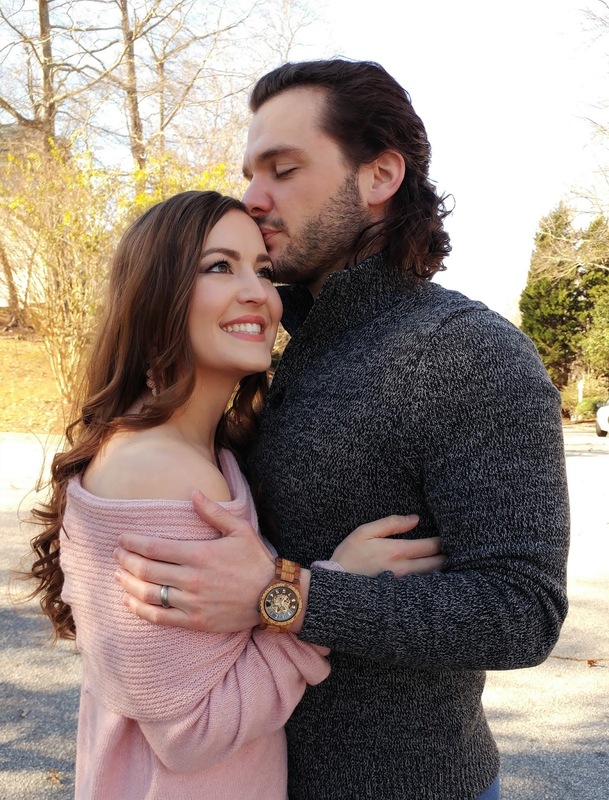 We're excited to get the chance to spend time together, celebrating each other! Something about starting a family together makes this man even more appealing to me. 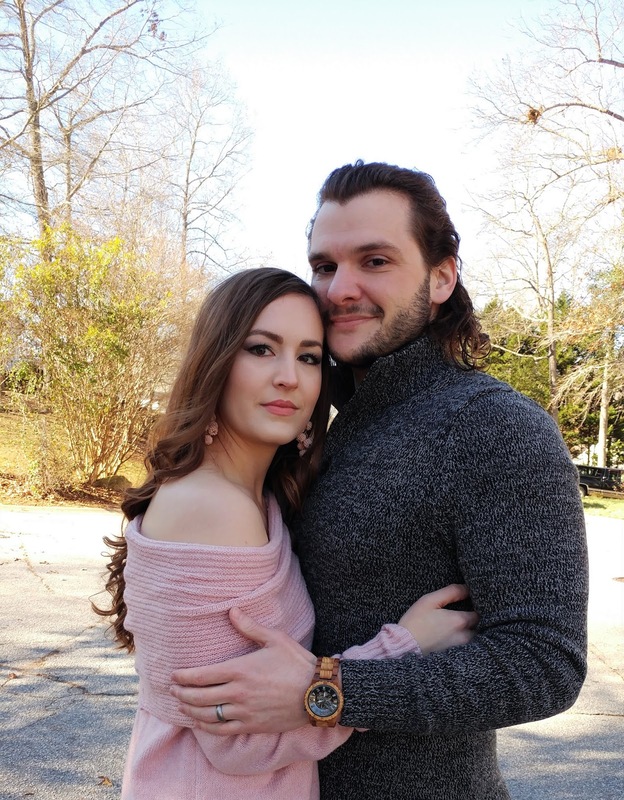 I loved him through college, through starting our first jobs, through buying our first home together. But, having your children with someone brings a whole new depth to the relationship. We're closer now, in ways we never ever knew were coming. That's why it's important that the gifts I give him say just how special he is to me, and will be, for a lifetime. This Valentine's Day, I was looking for something with a little more meaning than a card and some chocolates. 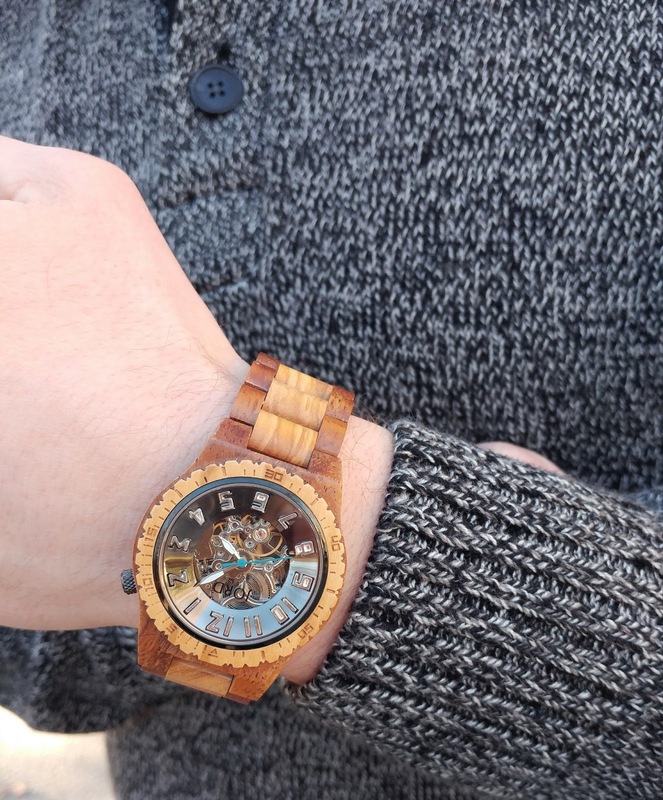 This Jord Watch he's wearing is the most perfect Valentine's Day gift! I can't tell you how many times Ross has looked at his wrist and exclaimed, "I love my new watch!". As someone who's not easy to buy for, trust me, you're going to be thrilled with a purchase like this. And, it doesn't hurt, on my end, that he has a nice, new accessory that he loves to wear, with pretty much every one of his outfits. We both highly recommend Jord watches. 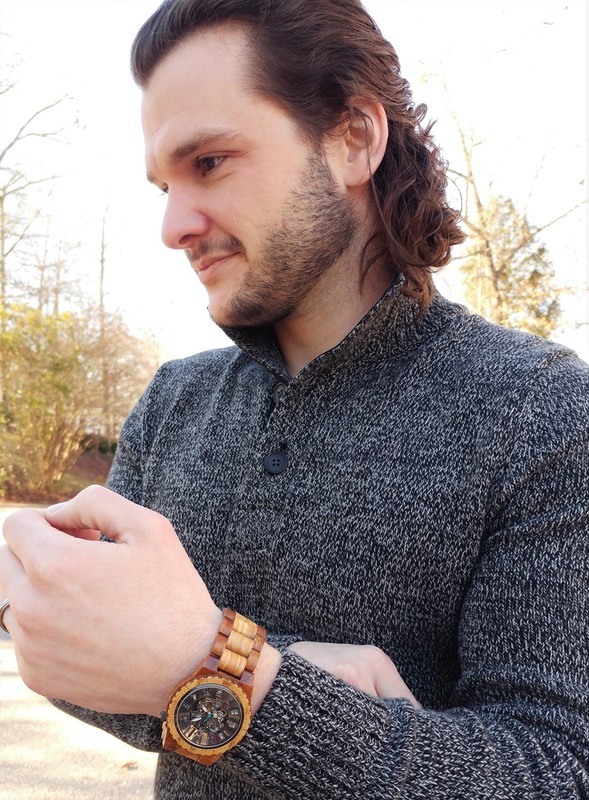 They're not only beautiful, quality pieces, but unique watches, and functional, as well. I hope you're having a wonderful day! 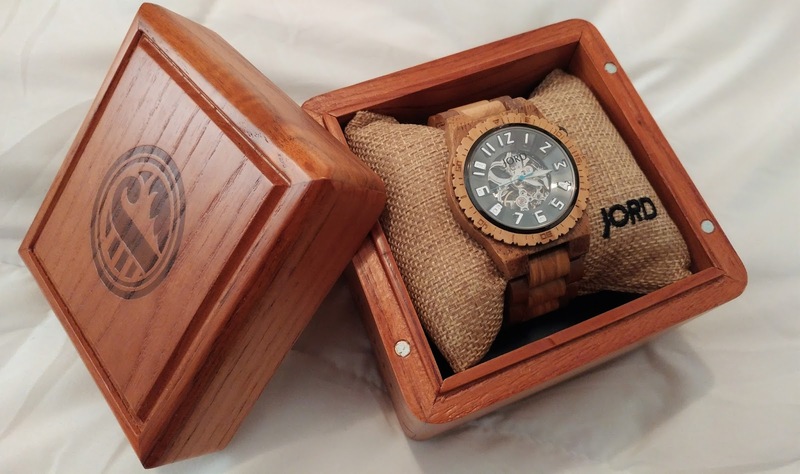 If you're looking for a Valentine's Day gift in the next few weeks, I hope you check out Jord Watches (for both Men's and Women's watches, they're all so beautiful!). As always, thanks so much for stopping by!